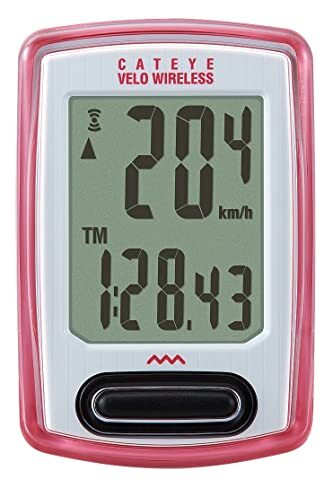 Being a cycling enthusiast, you must need a device to record the bike speed and pace. Though individual GPS units or smartphone can assist you, they are expensive, unpredictable, and battery-intensive. Also, you’ll find some beautiful watch, but they won’t provide many privileges. So, you need a bike computer on your bike handlebar. A bike computer will record every second of your journey by calculating speed, distance, and time. Some bike computer with GPS feature uses the satellite to track your position. Some riders prefer the bike computer with simple features for ease of use. Others look for the exclusive one with cadence, heart rate, and power measurements. The best bike computers have to be durable, affordable, and safer in rainy weather, and of course with a perfect display unit. As you know, we want our reader to get the best gear for their bike. We’ve prepared a list of ten best bike computer that would help you to enjoy a great adventure. Bike computers are almost a part of biking landscape. What type of bike computer you need is depends on the weather and road? They should have the ability to record every single detail of your ride, no matter where they take you. You may find it hard to choose the right one as there are so many models available in the market. To make things simpler for you, we’ve researched and compared these models side by side. Here, we’ve concluded to a list of ten best bike computers to help you get started on your adventure. For more about our listed bike computers, check the details below. Velo 7 bike computer is CAT EYE’s entry level 7 function computer with everything you need to get on the road. This is one of their best bike computer with Go Kit Wired combination. 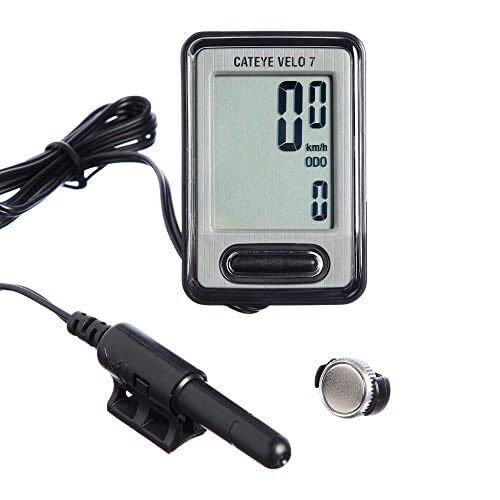 This Velo 7 bike computer set includes a headlight with three LEDs. The OptiCube technology provides the broader and more visible light beam. With longer battery life, it supports constant and flashing light modes. The bike computer has a larger screen that is easier to read. It features an auto start/stop option, stats, and a battery life up to 3 years. The program set-up is simple as it includes pre-programmed tire sizes. The Omni 3 rear taillight provides excellent visibility with high power LEDs. It also allows flashlight, constant, and rapid light modes. The taillight has a battery life up to 150 hours. You can easily adjust your computer and light through a FlexTight Brackets. The overall gear is so lightweight and simple to set up. Also, the price is reasonable, so you are allowed to focus on your next adventure. It is the time to focus on the ride, not the screen. 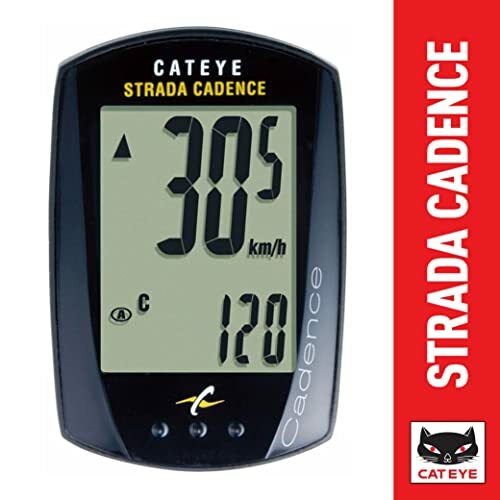 CATEYE Strada is here with highly accurate speed and time logging. Strada includes all the features of primary computers in a slim and light package. Despite the compressed size, the display is clear to read all the information. It shows total distance, current, max, and average speed, pace arrow, and clock. The computer is well-programmed with different mode selection. It stops counting time in an emergency break due to the auto-pause feature. At that moment it automatically counts average speed. You don’t have to concentrate on the buttons as the unit can operate through functions. The computer allows you to adjust, mount, and move it by using a FlexTight bracket. Its dual tire size let you use one device for two bikes. Above all, the device has long battery life. Indeed, it’s a great deal if you are looking to go between road and mountain bikes. 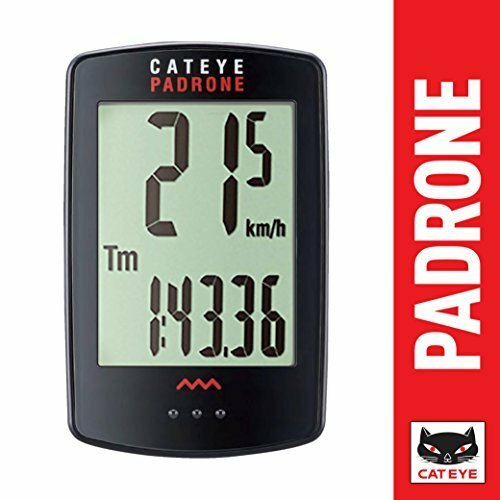 Similar to other CATEYE bike computers, this one is also available at an affordable price. Bell is a proved leader in manufacturing bike equipment. Dashboard Cyclocomputer is one of their affordable and versatile with smart and durable 12 functions. It can track all the essential biking statistics while you’re riding. The computer unit can count current, maximum, and average speed, miles and km per hours, and distance. The computer has 12 functions where some are calculating distance and speed. Apart from these, it features odometer, 12 and 24-hours clock, scanner, auto start/stop, and overall trip distance and timer. The computer unit includes a magnet that can be attached to the bike. Besides, the unit is weather-resistant. So, it will provide consistent performance even in extreme weather. With a powerful one-button cell battery, it can provide an extended battery life. The bike computer includes a mounting bracket with a sensor. It takes no times for the overall set-up as the design is so simple. The exciting part of this bike computer is the surprisingly affordable price. So, indeed it’s an excellent gift for your friends and family. 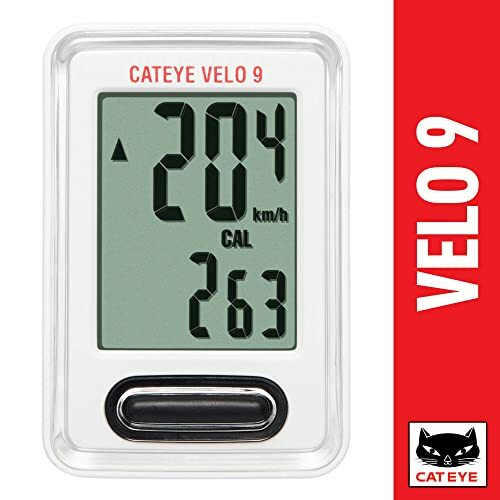 Velo 9 is CAT EYEs level 9 functional bike computer. This one is highly recommended by the athletes that need to connect through wires. Similar to Velo 7, it has a large display screen that clearly shows the information. As a part of nine functions, it can track your full speeds, total distance, trip distance, and pack arrow. Additionally, Velo 9 has an odometer and a function that can count your calories that you’ve burned. Also, it shows the carbon offset and a clock. With a single button operation, you can operate all the features. It has an auto pause option that stops counting during an emergency. Also, it includes a wired sensor that can be attached with bike wheels. There is no signal interference while getting the data. The battery lasts for almost three years to install it and forget about the rest. Overall, it comes with an affordable price as well. Whether you are using a bike for daily fitness or training for a race, Planet Protégé 9.0 bike computer is a perfect deal for you. This multi-functional computer will provide you with reliable performance and accurate data source. Protégé 9.0 is must-have gear for bike enthusiast as it allows you to track your progress and improvements. It comes with an attractive design with a large 4-line LCD. 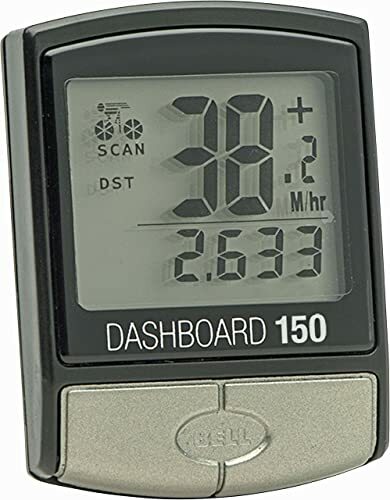 It displays up to 5 pieces of data at a time, and they are easy to read. The computer starts counting once you start your bike moves. They immediately stop recording when the bike stops. The device has two bike capability that allows you to set the wheel for two different sizes. Which means you can preset the odometer reading for both. A wired sensor is included that can be attached to two different bikes. It can count all the essential data similar to other bike computers. Additionally, it can track and display the temperature stature for ease of use. In a word, it’s a deal for all with the nine functions and all other features. 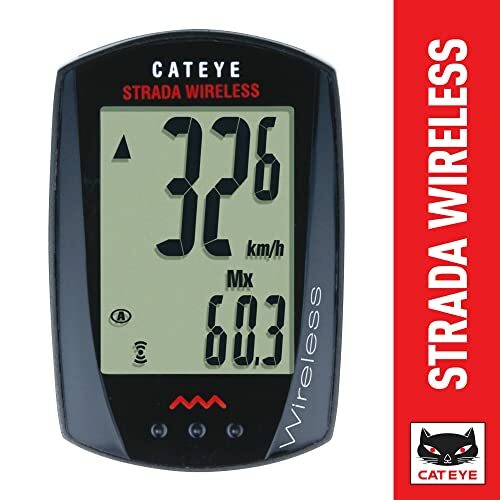 One of CatEyes most popular wireless bike computer with a compact and stylish outlook. 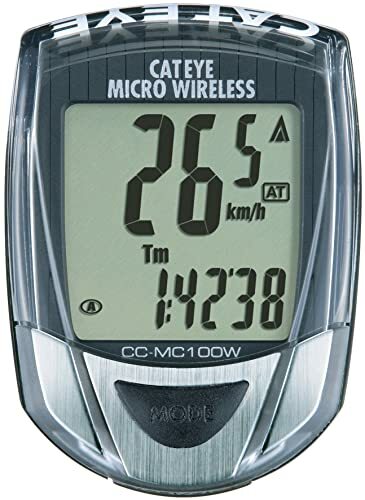 We are talking about CatEye micro wireless Cyclocomputer. It includes ten functions and 12 features which proves the superiority of a bike computer. The device has a universal sensor mount that associates readily to both road and mountain bike. As a part of ten functions, it can track all the speed, distance, and time. Also, it shows the time and riding position through pace arrow. The device has an auto power saving mode to save the battery power when the bike stops. It features an easy-to-use bracket that mounts on both stem and handlebar. A LED backlight makes it easier to see the stats from the black and white display. Through dual wheel size setting, you can use the device for two different bikes. 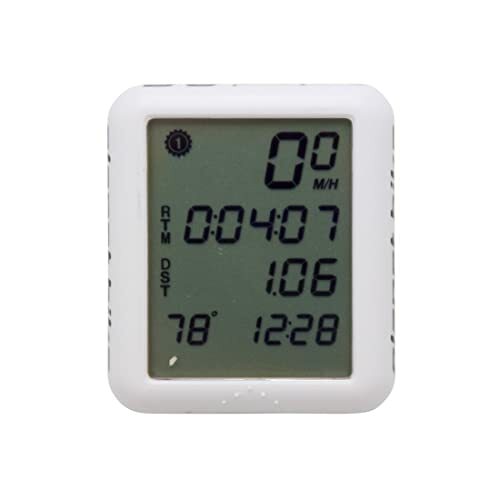 Overall, Micro wireless Cyclometer is an excellent deal at a great price. Strada cadence wired bike computer is appreciated by the professional due to its oversized screen. It allows you to switch among eight modes by just pressing a single button. It shows all the data in a large and clear font. 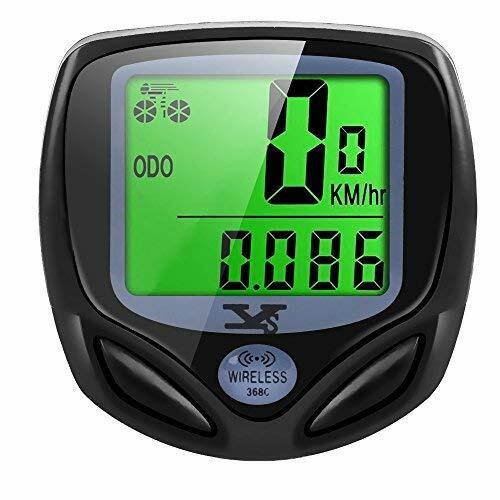 The device includes a programmable odometer which you can set manually after a battery change. Also, it saves all the data of miles, so you don’t have to lose those hard-earned miles. You can attach the device to the handlebar or stem through an innovative bracket mount. Similar to other functional bike computers, it can track all your favorite stats. It will automatically start/stop/pause in an emergency. This way, it saves the power as well as enhance the battery life. Additionally, it has a cadence sensor with wired rear chain. You can easily install it to two different bikes at a time. This bike computer unit is available at a reasonable price. With a thinner and stylish design, Velo creates an evaluation in CAT EYEs simplified wireless computer. Velo provides all the standard ride data that you can rely on. It shows all your favorite stats in a compatible display. Similar to others it can track exact distance and times. Besides, it shows your bike position through pace arrow and the time. To keep you updated about your health, it can track the number of calories burned. You can manually set the odometer to save all your distance information. Velo wireless includes a FlexTight bracket so that you can control it by your hand. Because of the simple design, you need less time for setting up the gear. So, it is the time to focus on the road. Besides, it allows emergency start and stops to save the battery power. The overall unit is so lightweight that you can efficiently manage the device. Also, you are getting this bike computer at an affordable price. Though all the CAT EYE bike computers are unique in their way. The Padrone bike computer is an exception among them due to its most massive display. It’s a supreme edition for all who wants to enjoy a stress-free ride. It displays all the exact speed, distance, and times in a clear font. You can save all the miles data, so it doesn’t need to start over every time. Enjoy the ride without letting the navigating button get in your way. In the bottom of the display unit, it has the navigation menus to toggle through functions. It allows you to adjust the device in the handlebar through FlexTight bracket. Your CAT EYE device can track when you’ve stopped and started. It will automatically stop counting time and speed once you finish the ride. The overall unit is so lightweight that can be manageable in an extreme situation. Also, the price is within your budget to focus on your next trip. Our last bike computer is for the budget-conscious bikers who want to enjoy all the features within their budget. SY bike computer is probably the lowest priced unit in our list. This multi-functional device has a compact and waterproof design. Unlike others, it has sleep mode option that automatically starts and stops the device. The bright LCD allows an easy view of ride statistics. It measures all the essential data with accuracy. The lightweight and compact size make it convenient for both beginners and professionals. It also has a backlight that makes the data visible even in low light condition. The set-up is so simple that takes few minutes. You can have access to the data through an easy to navigate interface. The pre-programmed tire size is customizable for accurate tracking. This bike computer is ideal for road, mountain, folding and other common types of bikes. You can attach the device either with a bracket or with a magnet. Also, the sensor allows you to operate it from a distance. This waterproof bike computer is equally effective in any extreme weather. Like we mentioned before, this multi-functional bike computer is available at little price. How much you want to spend or record, a bike computer will enhance your ride by letting you know the details of where, when, and how fast you’ve ridden. It will give you the option to focus further into your performance. So, you can improve and broaden your cycling experience by boosting personal bests. We hope our review helps you find the best bike computer that matches your needs. If you want to suggest anything that we forgot to mention in our list, then don’t forget to share with us in the comment box below. We’ll be back to you with another interesting topic.